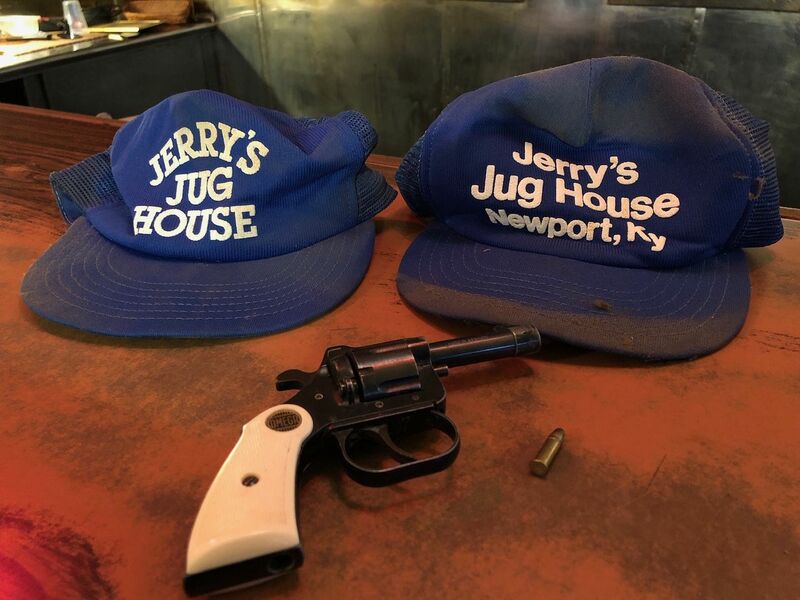 Since acquiring Jerry's Jug House in Newport, new owners Mark Ramler and Stuart MacKenzie have made some discoveries inside. 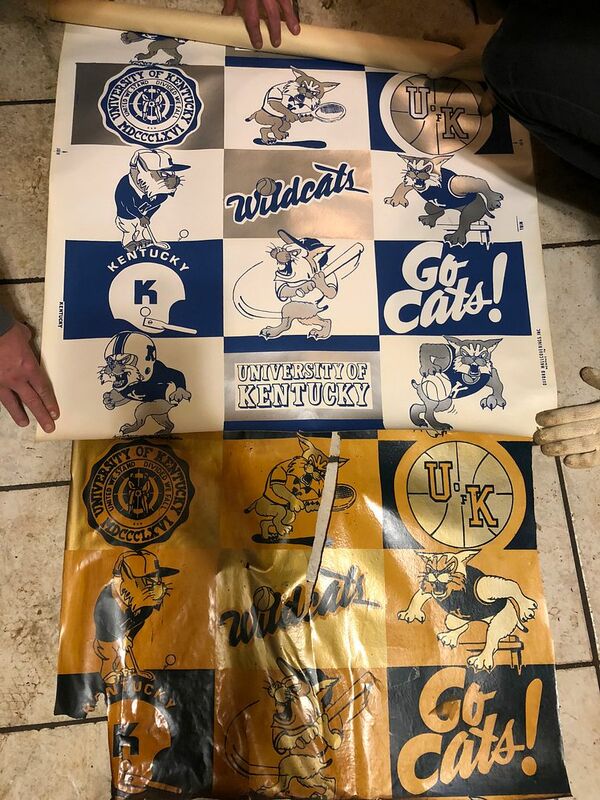 A loaded gun, receipts from the 1950s, and an original roll of the University of Kentucky-themed wallpaper that adorns the wall, still in tact and completely clean and white, compared to the yellowed, nicotine-stained pieces that were on display for decades in the smoky bar. 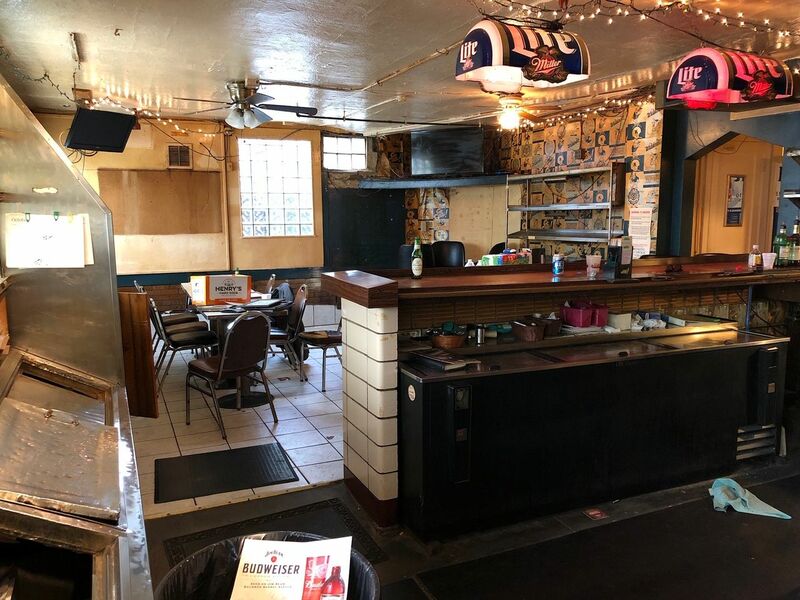 There won't be any smoking when the bar reopens after a face lift, but the bar will still be known as Jerry's Jug House. "We want to keep the feel of it, that neighborhood intimate bar, but we'll really clean up," said Ramler, who has led multiple renovations of historic properties in Newport through his business, Mansion Hill Properties. MacKenzie is a veteran of the bar business, cutting his teeth at Cincinnati nightspots Japp's after learning the business from famed local mixologist Molly Wellmann. He has since opened the Northside Yacht Club, which he co-owns. 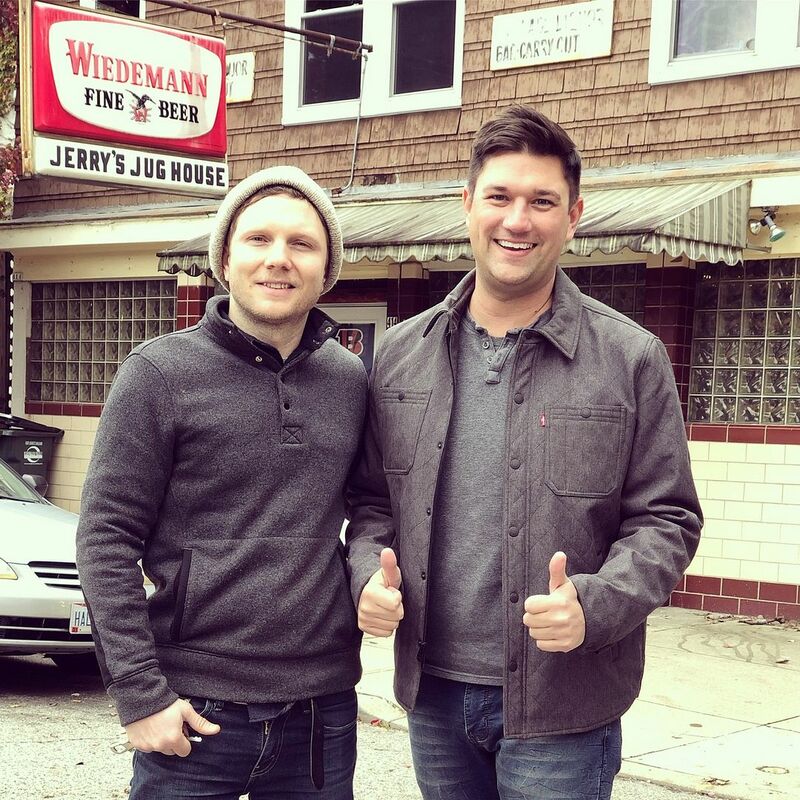 Both MacKenzie and Ramler will operate the reimagined Jerry's Jug House at 414 East Seventh Street. Jerry's will still offer its trademark package liquor sales, and the new owners hope to blend the current regulars with new customers they hope to attract. The bar, inside a 1925 building, is closed until renovations are complete, some time later this year or early next year. One piece of decor will be that yellow-stained wallpaper next to the cleaner white original pieces. When the previous owner passed away earlier this year, the building was placed for sale through an estate. Ramler said that the real estate aspect interested him because it is located in the heart of the East Row neighborhood, known for its revived stately Victorian homes. MacKenzie was also looking for an opportunity, and when his friend Gary Collins, owner of Galaxie Skate Shop in Newport, contacted him about Jerry's, he connected with Ramler, and now it's theirs. They will own and operate the building and business with an equal partnership. "It's been a neighborhood bar since it's been built and it's going to stay a neighborhood bar," Ramler said. "The neighborhood has changed and we're making changes to the bar that suits the neighborhood now, but respects the history of it." "We want to keep a neighborhood special, with cheap domestic beers, some local craft beers," MacKenzie said. "We'll bring in some cool wins for people that live in the neighborhood." Ramler said that Jerry's holds one of the last couple of package liquor licenses in the East Row. All products sold at the new bar will have a Jerry's Jug House stamp on it and the menu will be printed on paper bags as an homage to that history. The pair are being helped through financing by the Catalytic Fund, Ramler said. MacKenzie, who lives in Covington but has worked mostly in Cincinnati bars, said, "it will be nice to do something close to home." He grew up in the Bellevue-Dayton area, and knew Ramler previously because Ramler's mother, a stylist, used to cut MacKenzie's hair. Ramler's father and MacKenzie's mother are also cousins. When ready, Jerry's Jug House will operate seven days a week, closing each night at 1 a.m. The old Jug House used to open at 7 a.m., but Ramler and MacKenzie haven't settled yet on an opening hour. There won't be food for sale at the new Jerry's, but it will accept deliveries from other places. There will also be a renovated apartment for rent above the bar space. "The neighborhood is super-thrilled about it being nonsmoking and cleaned up," Ramler said. "It was kind of an anomaly that this place still existed in the East Row with the houses around it." But the bar will still work to maintain an invitation to all. "We want to keep it real-Newport," MacKenzie said. "We want to make the old customers feel welcome. "All are welcome except those who don't welcome all."